These are the Heated Pools in Philadelphia (Pennsylvania) (Pennsylvania) other users have reported. Are you a local and your pool isn't listed? Contact us to ADD IT. It's no cost! Swimia.com wants your feedback to ensure all of the information and facts is valid, given that maybe this pool is no longer open towards the public. Please make contact with the facilities to check which activities are providing and their timetables. Regular users told us essentially the most important thing of swimming will be to control your breathing. To acquire this, our head must be aligned with our spine all the time. 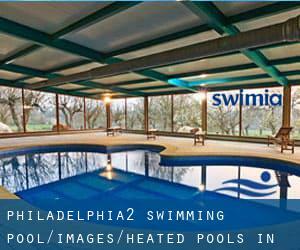 Please check the nearest Heated Pools in Philadelphia (Pennsylvania) (Pennsylvania) or Contact us to ADD IT. It's free of charge! 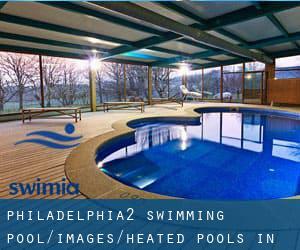 The ideal Heated Pools in Philadelphia (Pennsylvania) (Pennsylvania) are located mainly in large cities but it's also standard to find public pools in rural locations. Updated on 2019 5835 Spruce Street , Philadelphia , PA , USA (Postal Code: 19139). Among all the activities supplied by the center, if you're interested in swimming you are going to take pleasure in 25 yards, Indoors. If you need to make contact with this Swimming Pool, email address and phone number are both number. Updated on 2019 1073 Ridge Ave. at Domino Lane , Philadelphia , PA , USA (Postal Code: 19128). This sports center provides 25 yards x 25 feet, 4 lanes, Indoors. For this Swimming Pool, only phone number is number here. Updated on 2019 5722 Greene St. , Philadelphia , PA , USA (Postal Code: 19144). This sports center gives 25 yards, Indoors. Contact data for this Swimming Pool such as phone number and email address are number. Updated on 2019 851 Franklin Mills Circle , Philadelphia , PA , USA (Postal Code: 19154). Swimmers like you reported 25 meters, Indoors. Unfortunately we do not have the email address of this Pool, but we can give you the phone number. Updated on 2019 4200 Wissahickon Avenue , Philadelphia , PA , USA (Postal Code: 19129). Among all the activities supplied by the center, for anybody who is thinking about swimming you can take pleasure in 25 yards x 25 meters, 10 lanes, 3.5 feet - 10 feet depth, 10.5f maximum depth, Indoors. Just in case you would like to contact this Swimming Pool before dropping by, we only know the phone number. Updated on 2019 Rowland Ave. and Shelmire Ave. , Philadelphia , PA , USA (Postal Code: 19136). This sports center delivers 25 meters, 6 lanes, Indoors. Contact knowledge for this Pool which include phone number and e-mail address are number. Updated on 2019 4401 ´G´ St. , Philadelphia , PA , USA (Postal Code: 19120). This sports center offers 20 yards, Indoors. Contact info for this Swimming Pool just like phone number and email address are number. Updated on 2019 1200 Market Street , Philadelphia , PA , USA (Postal Code: 19107). Among all of the activities offered by the center, should you be considering swimming you are going to get pleasure from ~20 meters, 2 lanes, Indoors. Just in case you would like to get in touch with this Swimming Pool before dropping by, we only know the phone number.